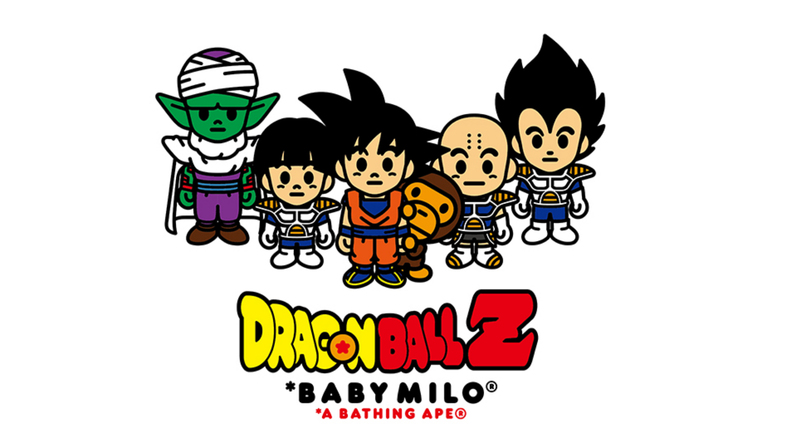 A Bathing Ape’s BABY MILO franchise will be collaborating with Dragon Ball Z on another collection this fall. 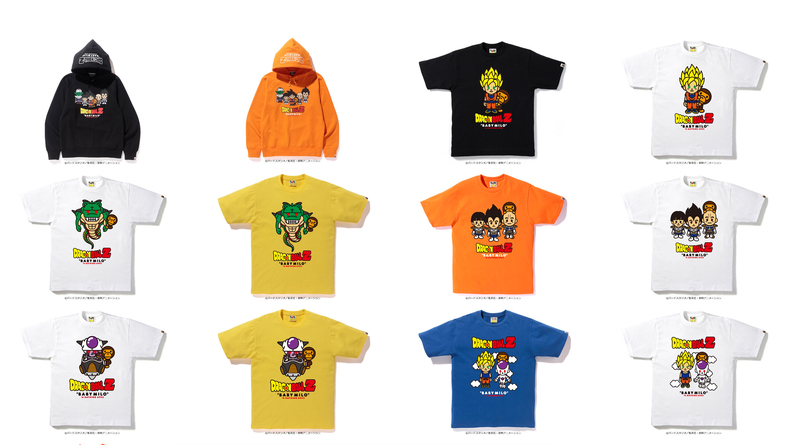 Son Gokū, Vegeta, Piccolo and other characters are featured in a similar touch as “A BATHING APE®”’s mascot character, “BABY MILO®” with completely original designs on the capsule items including T-shirts, crewneck sweaters, pullover hoodies and more. 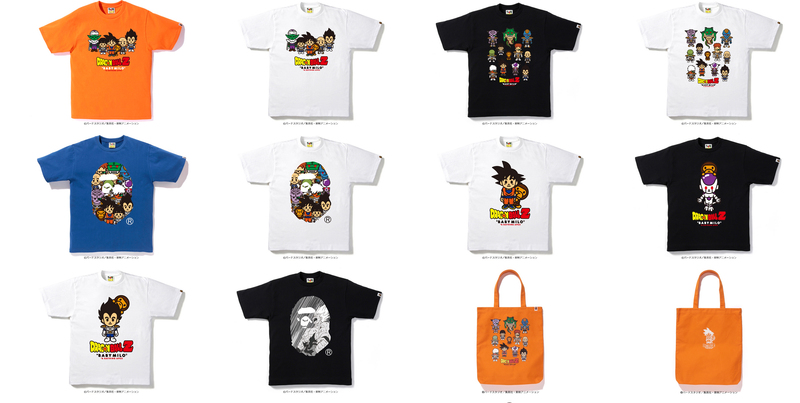 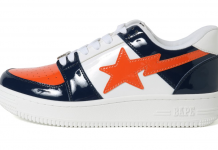 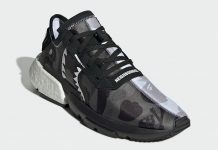 Also starting on November 8th, a popup store at BAPE KIDS® Isetan department store in Shinjuku will launch limited designs and pre-launch some of the items. 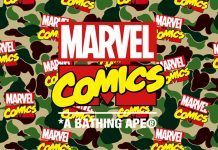 Items will be available for purchase at all A BATHING APE® stores in Japan from December 9th.